Home / Unlabelled / World oldest woman laments- long life is tiring. 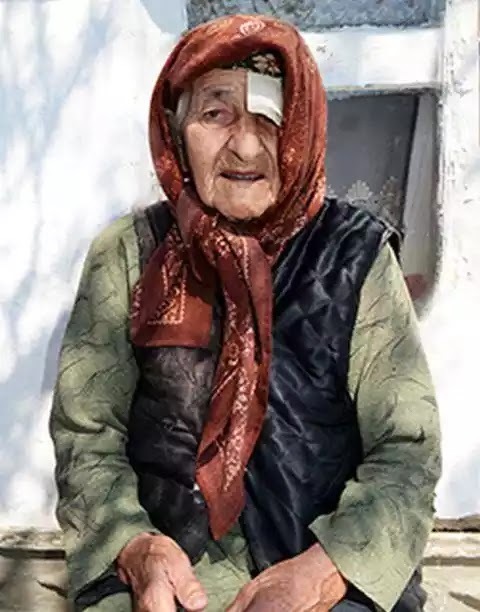 World oldest woman laments- long life is tiring. Funny how we all want that long life, we pray for it, wish for it, and yet maybe, just maybe, it gets tiring because Russian Koku Instambulova who is apparently the oldest woman alive says her 128years have been miserable and tiring for her. 'looking back at my unhappy life I wish I had died when I was young, and now am not living am just dragging through'. Somehow it's understandable considering that she lost all her children and Tamara her last child died at age 104years five years ago. She said she didn't do any outside ordinary just lived, liking her own things, not struggling to live long. May God bless the rest of your years. Quite old...but how are we sure we don't have an older woman in Nigeria? Because my grandma is very old. Don't really think so. It's not their fault, like gets meaningless at that age.